It’s that time of the year when we’re focusing on gear made for winter. What’s important about a good pair of boots is the comfort, warmth and all the protective features. 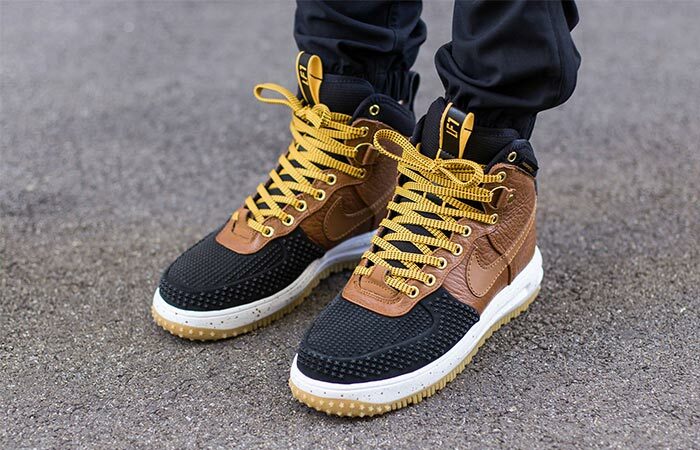 Nike Lunar Force 1 Duckboot covers all that while staying true to the Air Force 1 style. The first thing to know about these boots is that they are great for wet and cold weather. 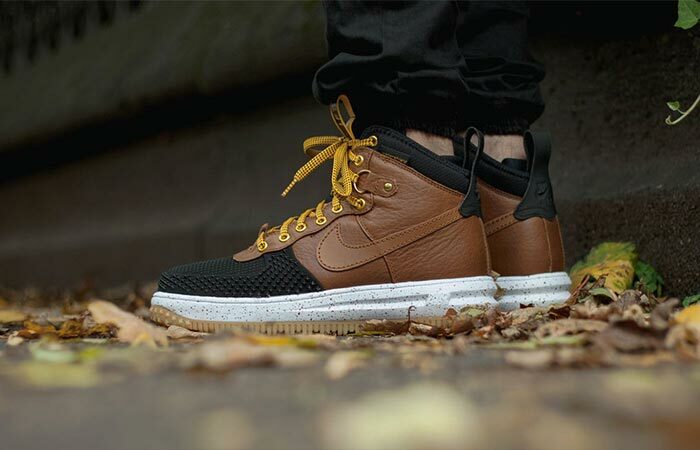 Staying dry is paramount so the Nike Lunar Force 1 Duckboot comes with a water-repellent premium leather upper. Another feature that will keep your feet dry is the WaterShield lining. Thanks to the water-repellent premium leather upper, these Nike boots are suitable for winter weather. For warmth, Nike included a high-cut collar. It comes with a built-in partial inner sleeve that is very soft. Speaking of cold weather, we can’t forget wet and slippery surfaces. So, to improve the traction of these duck boots, there’s the solid rubber outsole. It also contributes to the tough construction allowing you to wear them for years to come. Rubber sole offers stability while the liner is there for comfort and warmth. More details include Lunarlon midsole for comfort and ultra-plush responsiveness as well as the Air-Sole heel for maintaining the lightweight cushioning. 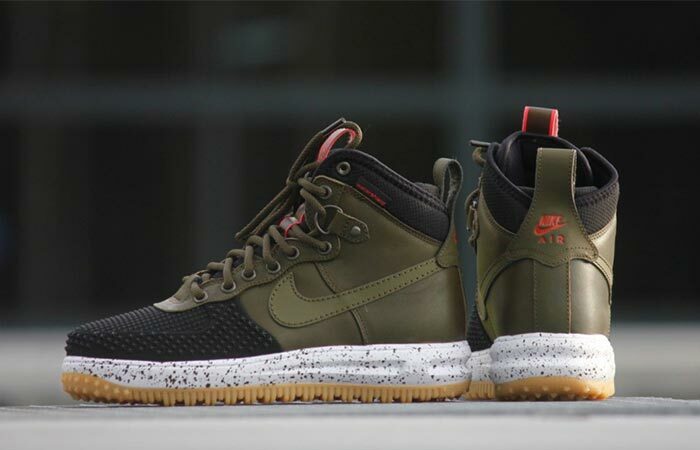 You can get Nike Lunar Force 1 Duckboot in a variety of color combinations. Also available in other colors. Check it out here.